Pretty Pam Howard is still taken aback by her quiet twin Penny's new attitude of independence. Until recently, Pam led the way, and Penny followed. Now Penny wants them both to go to the college that her friend Mike plans to attend, but Pam is resisting--partly just for the sake of resisting. Old field marshals don't give up easily! 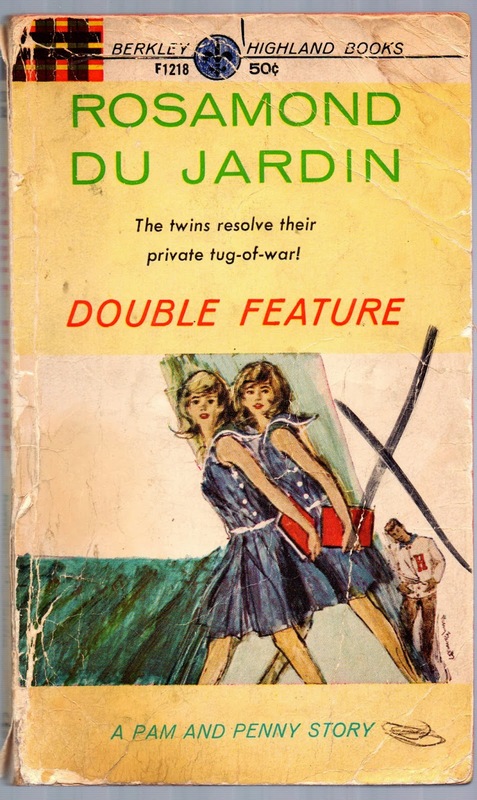 I wondered if you knew there was a book between "Double Feature" and "Double Wedding" titled "Showboat Summer"? Pam and Penny (and Mike, of course!) spend a summer in their college's showboat theater program. Hi Amy, Yes! It's one of my all-time favorites! I'll be adding it soon! Thank you much!